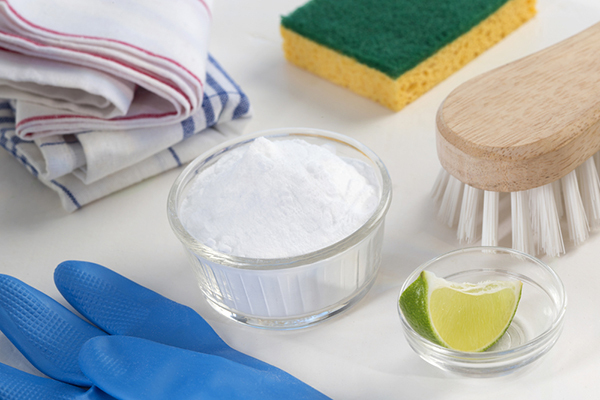 Here are 10 essential liquids and powders every cleaner needs in their stain-busting toolbox (or just under the sink). Excellent for washing stained cotton and synthetic/easy-care laundry, but also amazing at removing burnt-on food from saucepans and brightening up dirty bathtubs. One of the most useful bottles any cleaner has. On top of keeping your loo fresh and germ-free, used carefully it can restore white cottons to their original brightness and remove mould from grout. For a good alternative to chlorine bleach, try oxygen-based colour-safe bleaching products, such as Ace Gentle Stain Remover or Vanish Gold Oxi Action Powder. They usually have the word ‘oxi’ or ‘oxy’ in their name and are good for delicate fabrics such as silk and wool. Add a scoop to your wash load to help brighten a wash.
Sprinkle on fatty or oily stains. Absorbs grease and can be removed with a brush. The very best thing for removing nail polish – and not just from your nails! Don’t use it on acetate-based fabrics, though, as it can damage them. Bubbles can force a pigment-based stain, such as red wine, out of fabric fibres – great for emergency action! So many stains, particularly oil-based ones, can be removed with a dab of washing-up liquid. Really good at dissolving greasy stains, such as crayon and ink, and essential if you’re a fan of curry as it’s the best thing for removing curcumin-based stains. Use the colourless variety and keep it away from coloured and acetate fabrics. After your washing cycle has finished, we recommend rinsing your clothes again with detergent to remove the smell of the methylated spirit. Good to have around – use to remove paint or nail varnish. Test in an inconspicuous area first. The ultimate softener, could help in shifting old, dried-on stains. You can buy it from most pharmacies and some supermarkets. Really effective at removing protein-based stains, such as blood and egg. Also known as biological pre-soaking agents.